Steiner NYC has filed plans to expand its 15-acre Brooklyn Navy Yards Campus with the addition of a new 9-story building at 399 Sands Street. The building, which is being designed by Dattner Architects and will feature 412,030 SF to total development. 4-floors of light manufacturing space, a top floor creative office space and the bottom 4 floors will consist of parking for 430 cars and 46 bicycles. 399 Sands Street is adjacent to the new Admirals Row development which will feature a 75,000 SF Wegmans as well as 90,000 SF of retail and 130,000 SF of light manufacturing space. No completion date has been set. 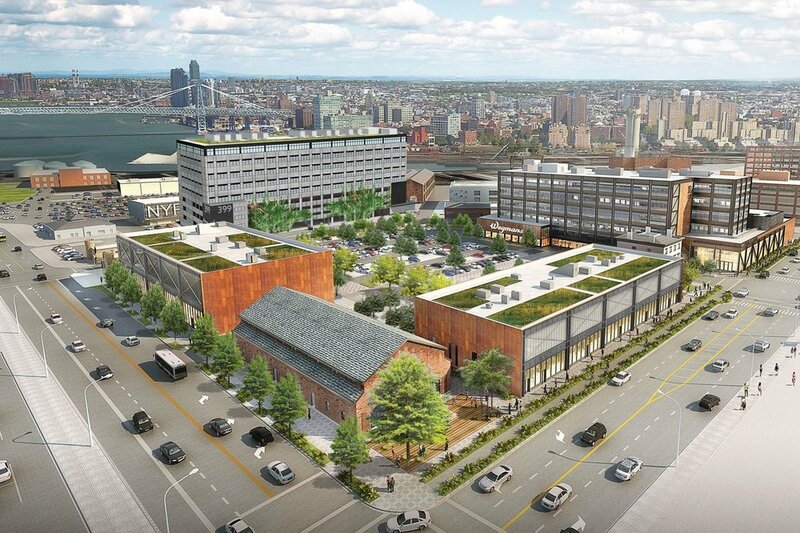 Steiner NYC is redeveloping the Brooklyn Navy Yards into a multi-use commercial hub which will feature public access.